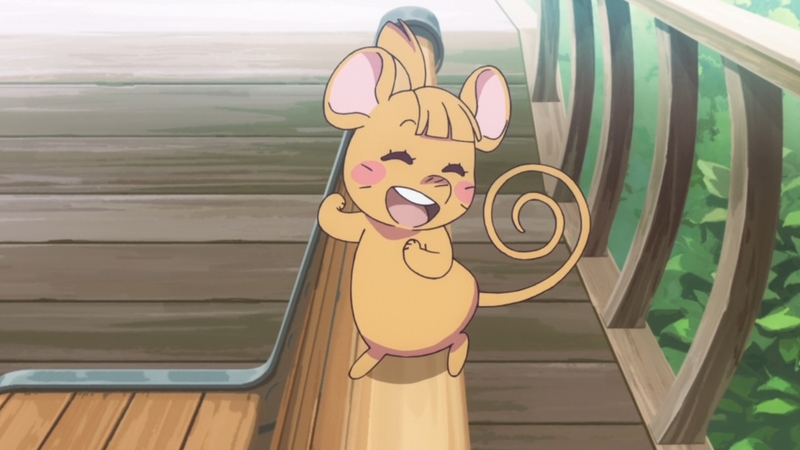 It was nice for the show to give some more attention to Amanda who hasn’t been a huge character to this point. 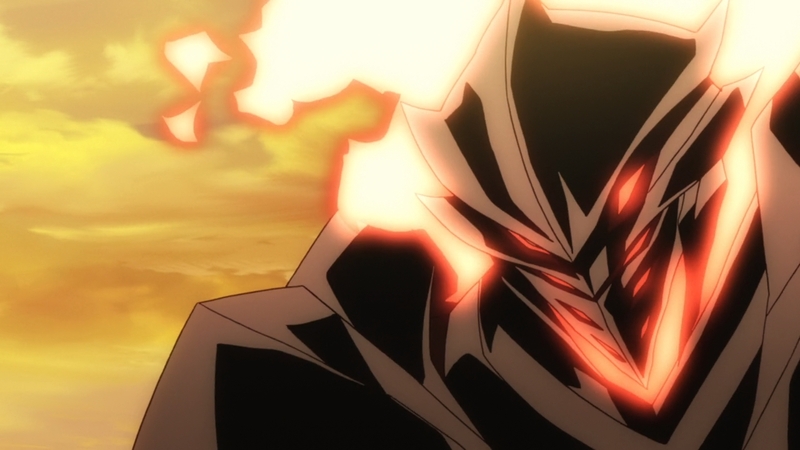 We also got a drop of a plot point that is bound to come up either next week or soon enough regarding Diana. Something is going on with her family and it probably isn’t very good. 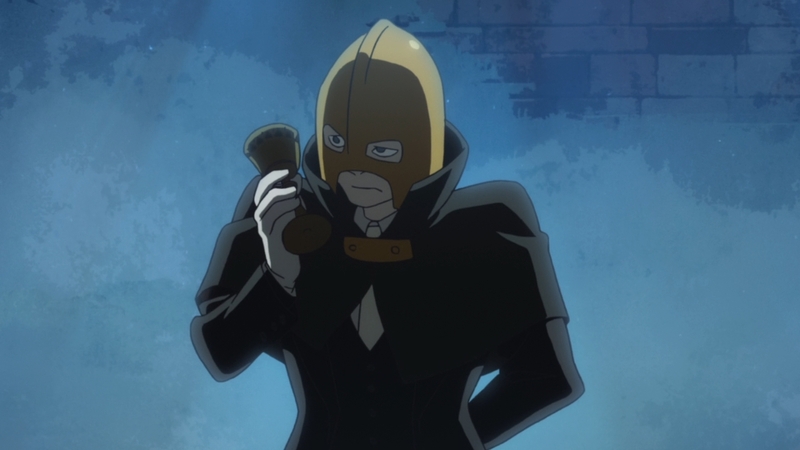 I wouldn’t be surprised there is some problem resulting from Croix causing trouble behind the scenes or just the technological shift with that magitech. For now the focus was on Amanda and the kind of friendship she has with Akko. Not surprising that they did have a temporary split, but ended up teaming up when it counted. They both have pretty strong personalities and sometimes that can clash. Especially since Amanda is kind of a loose cannon who struggles to find a place for herself. I kind of found it interesting how she talked about the pattern of rules, work, and punishment. In some ways I wonder if while Akko has been moving forward if Amanda hasn’t really been doing much of anything. The early pattern for Akko in this show was getting into trouble, clashing with the school and getting punished. While she does still clash at times, she has a much firmer sense of direction than before. Akko remains focused on getting better at magic and now her immediate goal of finding those words that will hopefully lead her to Chariot. It may not have been intentional, but I think this episode works well at showing just how far Akko has come. She may only be pretty good at transformation magic, but she’s chasing after her goal. Right now she is just making steady progress for the long term. Amanda…well she’s just trying to keep interested enough to stay in school at all. Though it sounds like it has become a pretty regular thing for Amanda to complain about school life and suggest she’s going to quit. It is probably safe to say the friendships she currently has and the occasional adventure is good enough to keep her sticking around. I do hope in general that Amanda finds something to dedicate herself towards accomplishing. She does seem to have fun doing tricks on a broom. Maybe she and Akko can team up at some point for performance shows? While this was another episode with Andrew, it wasn’t an episode really focused on him. Although I think we can say here was another subtle effort to just show where Andrew’s character arc currently stands. 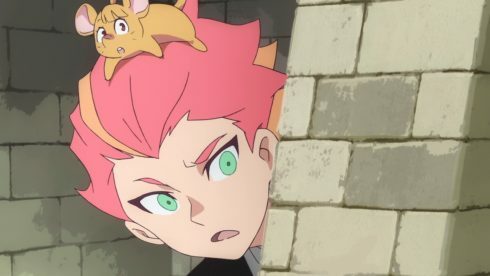 At the very least he didn’t immediately try to kick out Amanda and Akko when he saw them. Instead he stopped to talk and helped them out. He wasn’t ready to full out assist them in the Holy Grail hunt, but he was willing to debate a bit with Akko. At this point he is still basically following the path his father has set out. It is still a kind of long term battle for Akko to get Andrew to think more about what he actually wants for his life. I do understand his point of view of there being expectations of him and not wanting to betray those. Andrew is still someone acting within the rules. 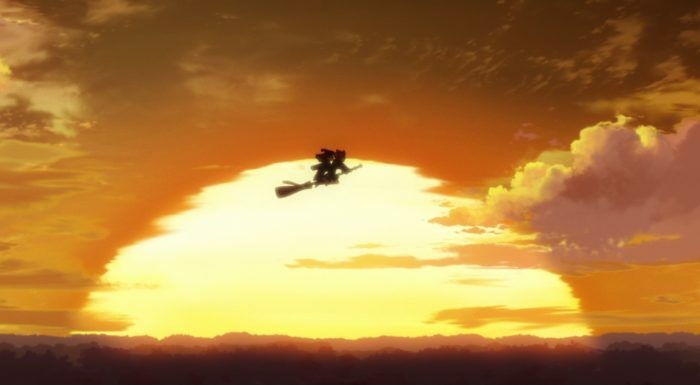 But he is clearly more accepting of Akko and Witches in general than he was in the past. When things were at risk of going extremely violent he did at least find some way to settle the issue. It was with a duel on a bridge (which seems kind of extreme), but it was better than torture. You’d think a school with people preparing to be politicians that they would have concept of law and order. I’m just going to say that executing and torturing people isn’t ok! In some ways it is nice that this episode didn’t really spend much time on furthering the already obvious ‘AkkoxAndrew’ pairing. We know it’s going to get there at some point, we can just further a kind of friendship between them before that. Things got a bit crazy with that armor capturing Louis. Those experiments are getting kind of dangerous. Though in some ways I’m impressed that teacher is just openly morally suspect if not straight up evil. I’ve got to give some credit to Amanda for holding her own though. She fought well without magic in the first duel with Louis and then she came up big when it counted. Amanda deserves credit for teaching Louis some humility. I don’t know how well that guy is going to turn out, but at least this is a start. He already started out pretty questionable with his cheating at cards and throwing around his family name as if he’d actually accomplished something. Hopefully he grows a bit as a result of this dangerous experience. It seems like he did from how he openly took responsibility when his father arrived, but who knows long term. This wasn’t an episode where they found a new word. I suspect next episode will be the one where the next word comes into play. What I can say is that this was pretty fun at times. 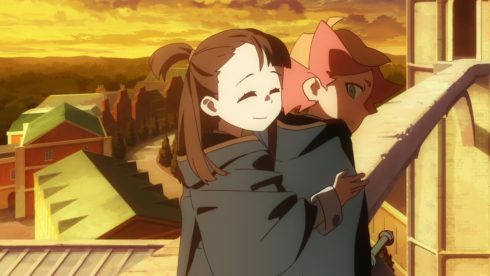 Amanda is a wild card character, but I’m glad she and Akko can count on each other. There was just a lot of little things to take note of. 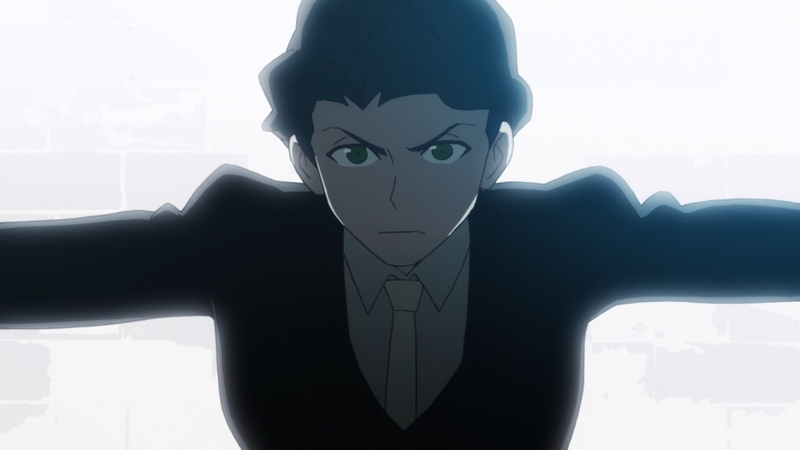 The growth of Akko, the current arc for Andrew, the experiments Croix is undertaking, and the situation with Diana. Here’s hoping they keep having strong moments all the way through to the end of the series.